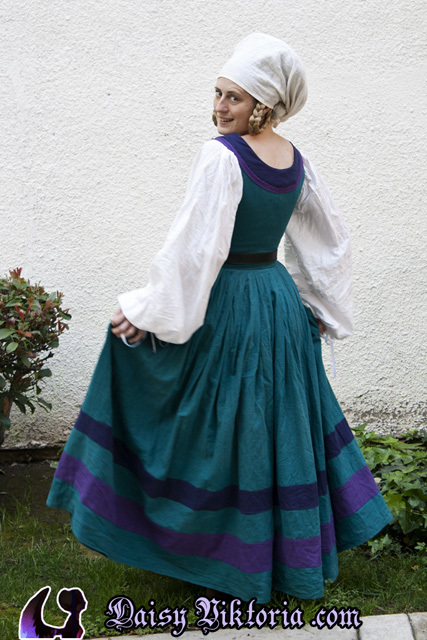 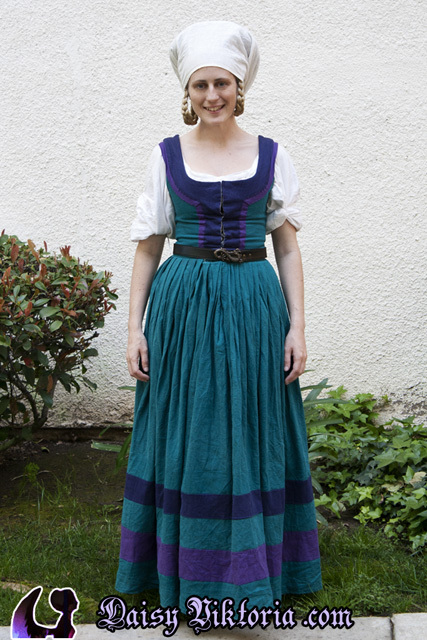 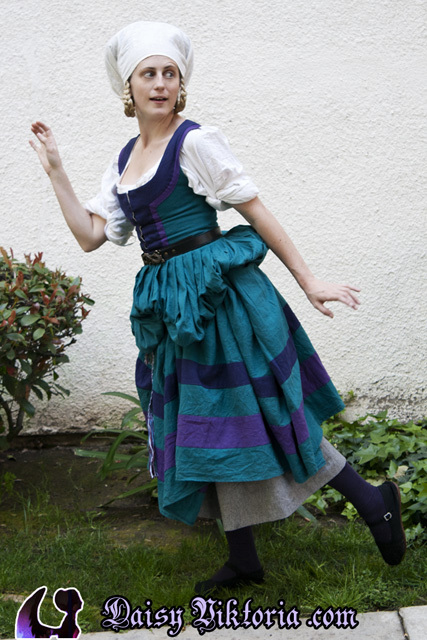 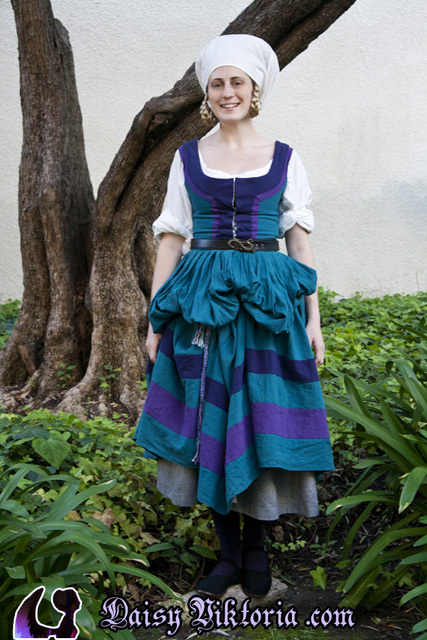 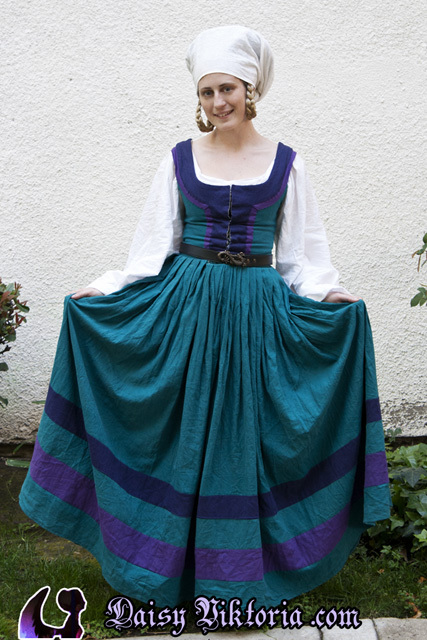 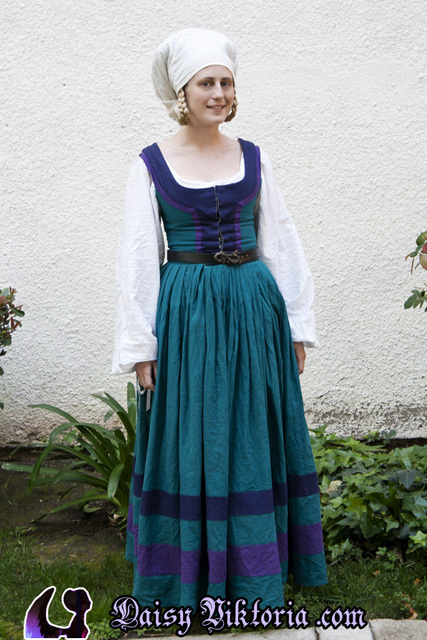 This dress is based on German and Swiss images of Kampfrau, also known as Trossfrau. 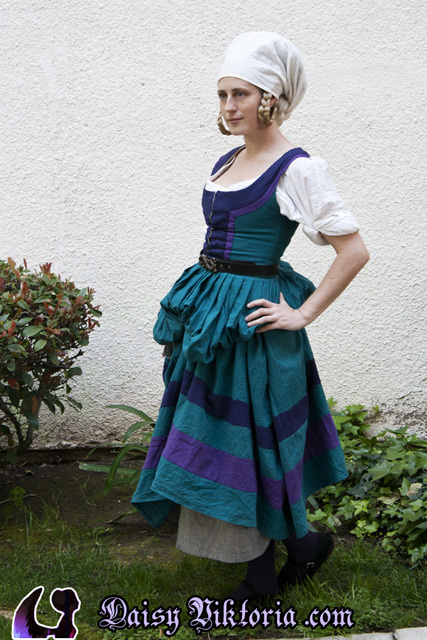 Everything is linen, and the bodice laces in the front. 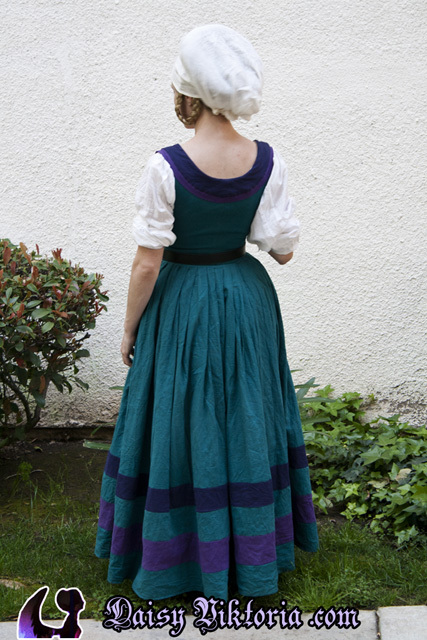 The color combination was my own style and not taken from a portrait. 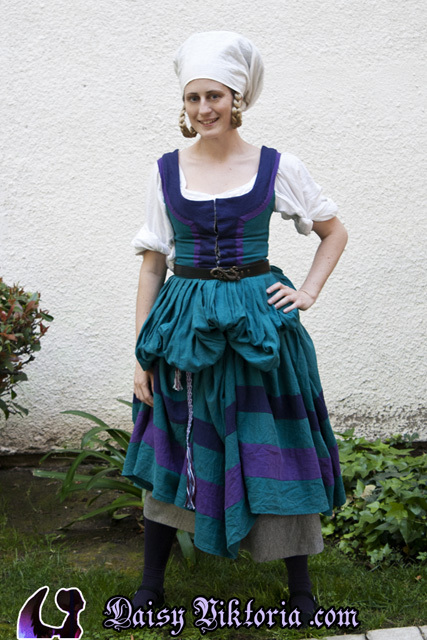 The hat is a wulsthaube with a stuchlein, an inner structure with a veil tied on top.